There are estimates that indicate that 80% of ALL data have a spatial or location-based component. With GIS as a tool, companies, organizations, and individuals can improve their data integration & organization, make better strategic decisions, and make maps based on specific requirements and questions asked. 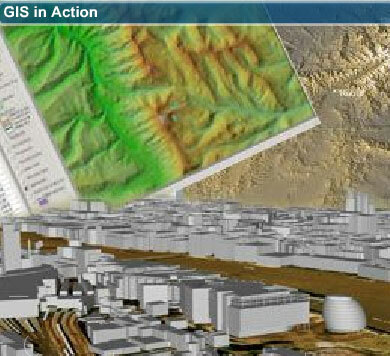 GIS is a convergence of technological fields and traditional disciplines. It is an enabling technology that continues to see astounding growth and utilization in every discipline. Where is the meeting at? Where should the shopping center be located? Where is the best location to drill for oil? What areas should be set aside to protect the habitat of an endangered species? Where should the local sheriff schedule regular patrols in order to reduce recurring crime? Where is the vaccine needed most? The value of GIS as a tool lies in the fact that any kind of information can be associated with location. With multiple sets of spatially-associated data, complex questions can be asked and the true potential of spatial analysis can be exploited. In real-world GIS applications, this happens more often than not. Multiple sets of data in a GIS are represented by multiple "feature" layers---much like combing multiple transparent acetate paper layers to visualize things such as architectural drawings, sequential animation sketches, and overlapping drawings. With all of these layers registered together in a GIS, they can be analyzed and visualized together to enable the user to conduct a location-based analysis or query of the data. A real-world example of this is in determining nesting grounds of a particular species of bird in a broad study area. This can entail using separate layers of data representing land elevations of the study area (to identify the species' preferred nesting elevation), average temperatures and climate in each sub-area (to identify the species' preferred physical environmental factors), local vegetation (to identify areas with the species' preferred nesting and feeding sites), the species' migration patterns (to identify the areas that the species may transit), and species sightings (to determine its range). This is an example of using spatial analysis to create new knowledge or to understand and visualize a phenomenon---in this case, the identification of potential nesting grounds. Several examples of these kind of applications of GIS do exist. The GIS industry and market for it continue to expand at a phenomenal rate. The utilization, teaching of, and research into GIS and geospatial-related technologies is robust. Sietzen indicates a massive labor shortfall of proficient geospatial technology specialists in "High-Growth Jobs Initiative." The U.S. Department of Labor (DOL) has identified geospatial technologies as one of three technologies that will experience incredible growth over the next decade. There are concerns from the industry that the rate of industry growth is far outpacing the generation and development of a competent labor force for the GIS industry. 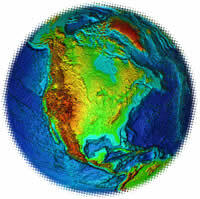 According to a DOL analysis, today's $5 billion market for GIS is set to increase to $30 billion in just one year!